The finance minister says he told the suspended Sars boss numerous times to focus on revenue collection. 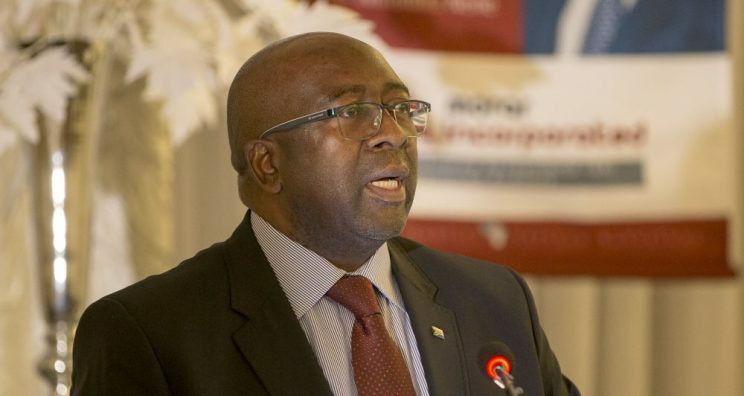 Finance Minister Nhanhla Nene on Friday told the Nugent Commission of Inquiry that he spoke to the suspended South African Revenue Services (Sars) commissioner Tom Moyane numerous times to get him to focus on revenue collection. Nene said Moyane was distracted by issues such as the so-called rogue unit. He was called to testify before the inquiry about his apparent approval of the consulting firm Bain and Company’s operating model that destabilised Sars. Nene told the commission that he received an email from Moyane saying the institution needed to be rebranded in order to strengthen and revitalise governance. “The intentions were noble. So I gave the go ahead,” Nene said. He explained that the approval was only in principle because the commissioner could have proceeded without the minister as this was an operational matter. He said he approved of the process and not the results thereof. Nene said he was deeply disappointed with what Bain achieved at Sars. The commission has heard how Bain’s model fractured pivotal units including the ability to measure compliance and the capability to deal with illicit financial flows and high profile investigations. At the end of his testimony, Nene said he would be happy with the appointing of a commissioner as he would support anything that would improve the integrity of Sars, and added it might be beneficial for Parliament to get involved in the process of appointing that commissioner.